The paper analyzes the results of a public opinion poll administered to Palestinian citizens of Israel by Mada al-Carmel. This poll, conducted during May 2014, was intended to gauge the attitudes of Palestinians in Israel regarding their treatment by the Israeli government (in place since the 2013 Knesset elections). 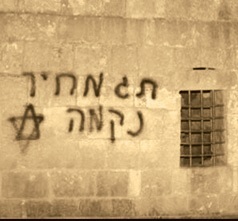 It evaluates the extent to which Palestinians in Israel feel that they are treated equally with Israeli Jewish citizens and the extent to which they perceive discrimination. It also considers Palestinian citizens’ attitudes regarding incidents of racially motivated violence, as well as their views on means of addressing racism. 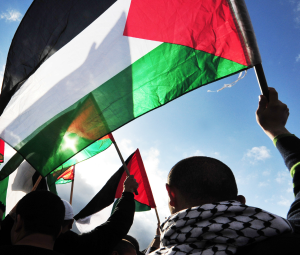 Moreover, the poll assesses the opinions of Palestinian citizens toward peace negotiations between Israel and the Palestinian Authority, evaluating their perceptions on the Israeli government’s commitment or lack of commitment to reaching a peaceful political solution. It also gauges their stances on various potential models for resolving the Israeli-Palestinian conflict. The results of the opinion poll demonstrate that Palestinians in Israel regard the government as treating Arab and Jewish citizens differently. They perceive the government as performing well with regards to issues faced by Jewish citizens, but performing badly with regards to the Arab population. Whereas 74% of respondents described the government’s performance toward Jewish citizens as ‘excellent,’ only 6% of respondents stated the same with regards to its performance toward Arab citizens. Moreover, whereas a mere 2% of respondents described the government’s performance toward Jewish citizens as ‘bad’ or ‘very bad,’ 35% described the government’s performance toward Arabs as such. The poll addressed respondents’ perceptions of equality or lack of equality in several social situations, including: in interactions with law enforcement officials, in interactions with civil servants, in the workplace, and in airports. The results demonstrate that Palestinian citizens of Israel perceive different degrees of discrimination in different spheres of Israeli society. Respondents felt the strongest degree of discrimination at airports and checkpoints, with 50% claiming that unequal treatment occurred in these venues. They felt a lower degree of discrimination when using public transportation services, with 45% of respondents claiming that they received equal treatment in this sphere. 42% of respondents claimed that they were personally subjected to racism. 47% stated that the government intends to increase anti-Arab racism, with 16% suggesting that the government intends to reduce it. 81% of respondents stated that the Israeli government is discriminatory toward Palestinian citizens. A large percentage of respondents (84%) believed that the government bears responsibility for attacks on mosques and churches by ‘price-tag’ groups. In addition, 82% of respondents attributed responsibility for these attacks to extremist political parties, 78% to organized hostile groups, and 82% to the perpetrators as individuals. 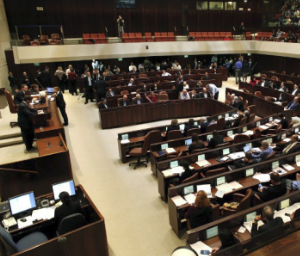 The survey also examined the positions of respondents toward the claim that Israel is a democratic state. 72% of respondents agreed with the statement, “Israel is only a democratic state for Jews.” Equally, 65% of respondents disagreed with the statement, “Israel is a democratic state for Arabs.” Thus, a majority of those surveyed viewed Israel as an ethnocracy rather than a democracy. The majority of respondents (76%) stated that the Likud government led by Benjamin Netanyahu (in place since the 2013 elections) was not interested in peace. 71% claimed that this government was not interested in the continuation of negotiations with the Palestinians in order to reach a peace agreement. 85% of respondents opposed ceding the right of return as a means of achieving peace with Israel. Moreover, 94% opposed giving up Jerusalem in return for peace. 83% of respondents stated that Israel should dismantle the settlements in return for peace with the Palestinians. 82% of those surveyed stated that the “Lieberman Plan,” i.e. the proposal to annex the central region of Israel known as “The Triangle” to a newly formed Palestinian state, was unacceptable to them. 79% viewed this proposal as racist. The majority of respondents (68%) rejected the notion that Palestinians should recognize Israel as a Jewish state in order to resume negotiations. The survey results demonstrate divergences of opinion among Palestinians in Israel with regards to the feasibility of the one-state and two-state models as solutions to the conflict. 63% of respondents stated that the two-state solution along the 1967 borders would constitute a realistic resolution to the conflict, while 40% stated that a single, bi-national state would be a realistic resolution. The percentage of respondents who strongly agreed with the claim that a permanent solution to the Israeli-Palestinian conflict would be reached in the next five years was a mere 9%. To read and download the research paper (available in Arabic only), please click here. This entry was published in Articles, isrstudiespubs.